Home»How To»Witcher 3 Wild Hunt – PC Lag, FPS, & Crash Fix! Witcher 3 Wild Hunt – PC Lag, FPS, & Crash Fix! Description I put together a comprehensive guide for those who have Nvidia GTX 9xx or 7xx cards and are recieving PC crashes, FPS Lag, or other errors. Below is the step by step guide for each topic we discussed in the YouTube video below. Under “Power Management Mode” make sure that we use “Prefer Maximum Performance” . Once its set, then “Apply” changes. You can also do this for Global Settings as well. This will cause your GPU to always use the most power instead of saving power while your GPU isn’t required to boost its clock/memory speed to keep up with certain video game settings. In this case, Witcher 3 has been having conflicting issues with GPU clock speeds , thus making this be a bug error on Witcher 3’s part. Step 2. Download Nvidia Inspector. Once you have the program installed. Open it up and we will need to go to the “Overclocking” section. 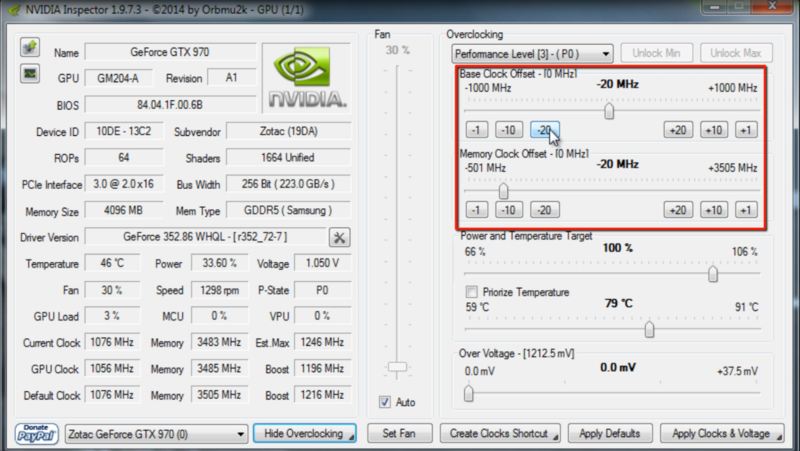 To do so, on the bottom right corner click “Show Overclocking.” and several options will appear on the right hand side. We will now have to click on the “-20” button for both our clock and memory speed. Once we do so, we have to apply the settings in order for them to take affect. Please note that each time you restart your PC, you will have to manually do this. 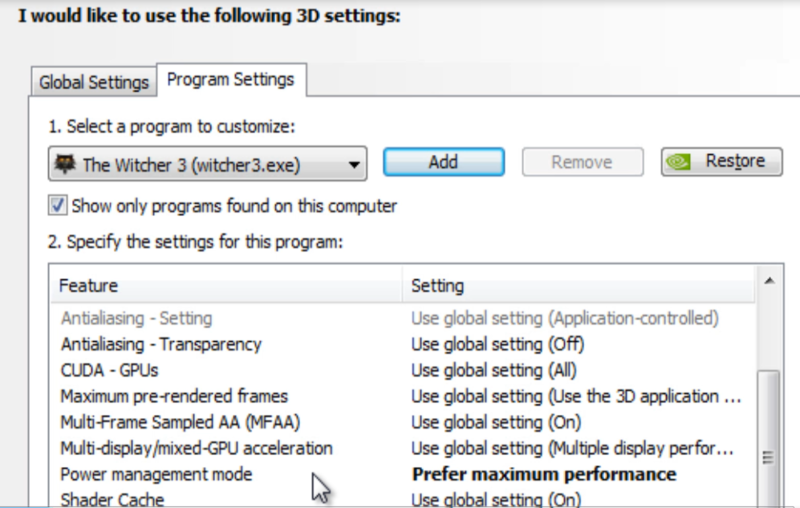 However, if you have any other GPU overclocking program you can create a game profile for Witcher 3 and apply these settings each time the video game runs. Step 3. Edit User settings. We need to change the value of “30” to “60” . 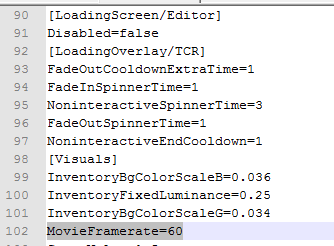 The purpose of this is to help create the cut scenes not lag and making sure it doesn’t crash due to the GPU clock speeds altering for each cut scene. Step 4. Change in game settings. Once we are in game for Witcher 3, we will need to change the following settings to the ones I use. I. Change Maximum FPS Rate to Unlimited (move the bar all the way to the left). II. Display Mode can be Fullscreen, if you still are getting crashes, try it with Borderless Fullscreen. Save settings and play! I hope this helps everyone! Please leave any feedback below or any questions.